The lottery business is in critical need of improvement. Despite being a vast, multi-billion dollar market, it is crippled by challenges which are only going to drag it down. GG World is an innovative take on the current state of the lottery business. It attempts to improve and build on it in order to make it that much more attractive to its otherwise passionate participants. One of the main challenges which the industry has to overcome is the fact that it’s starting to lose the trust of its players. There’s a definitive lack of transparency, as well as a growing concern cast over the actual randomness of lottery draws and company audits. A lot of different lotteries are using pseudo-random number generators and are more often than not audited by questionable authorities, to say the least. This triggers uncertainty and causes problems. GG World Lottery, however, has a solution for both issues. The project is constantly monitored by the world-class gaming certification business Gaming Laboratories International. This guarantees that the audits are entirely legitimate and as thorough as they need to be. It looks like the lottery industry has turned into nothing but a money-printing machine. The focus is shifted away from the player and there is a defined lack of personalization. GG World Lotteries are made with a mind for the user. In order to show appreciation to each and everyone who takes part in the project’s STO, GG World Lottery entitles every token holder to receive a lifetime revenue share based on every jackpot prize win. This way, whenever someone wins the jackpot, every token holder will win as well. Legacy lotteries, in their current shape and form, attract a massive amount of sales. As a matter of fact, the entire lottery industry has managed to amass a total of $273 billion in ticket sales in 2017. That’s more than a quarter trillion. However, despite this vast market, legacy lotteries fail to adjust by the increasing and ever-changing requirements of their audience. Unlike previous generations, millennials don’t look forward to walking up to the brick and mortar store and purchase their lottery tickets. They’re relying increasingly on their mobile devices to buy them online, regardless of their current whereabouts. 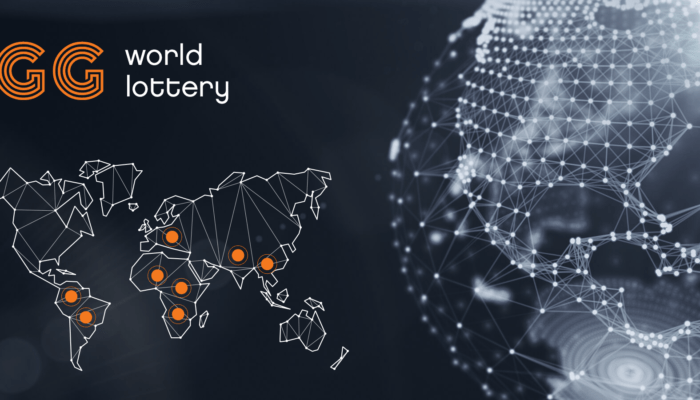 GG World Lottery is on a mission to create fully government-backed, yet online and mobile-friendly lotteries in order to attract an audience much broader than the current. With more than $5.6 million already raised, the project already has its MVP developed and begins executing its plan directly.